If you want to run an AIS Class B transceiver you will also need a separate GPS antenna for this unit. This antenna is a combination of both. 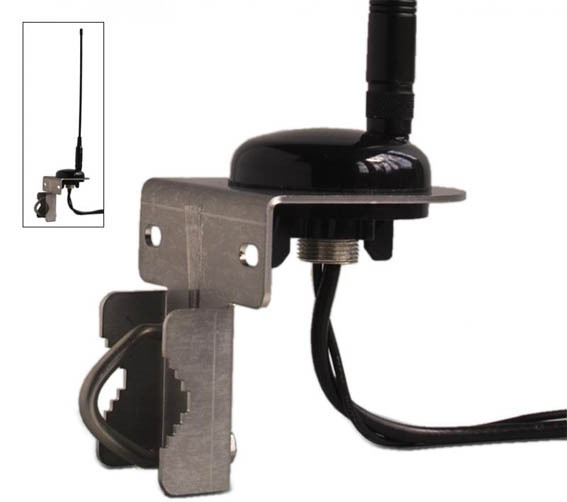 What is necessary to connect this antenna? You don´t need special equipment for that. The combinated antenna with a cable length of approx. 6m, 20ft is just wired to your AIS Class B Transceiver. On the antenna itself, we have fitted two cables. On of that (thinner one) is for your GPS. The thicker one is vor your VHF. If you want to extend your coax cables we recommend to use Aircell 7. The max. length is 15m.